As October comes to a close and we begin gearing up for the Thanksgiving celebration in American, we wanted to share a tasting note for our Morellino di Scansano, a wine that few in the U.S. know well but a wine that we think will go great with the Thanksgiving feast. The note was published earlier this year by one of our favorite Italian wine bloggers, Charles Scicolone, who has been tasting and writing about Italian wine in New York City and Italy for more than 30 years now. He is one of the world’s leading experts on Sangiovese and we were thrilled to learn that he had posted a tasting note for this wine, which, we believe, is ideal for the holidays thanks to its balanced alcohol, ripe fruit flavors, and healthy acidity. Thank you, Charles, for this wonderful tasting note! And happy Thanksgiving! 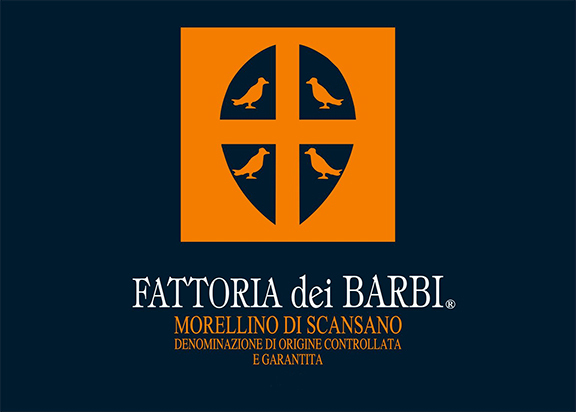 Morellino di Scansano 2013 DOCG Fattoria Barbi (Vivaio dei Barbi) made from 85% Sangiovese Grosso and 15% Merlot. This is a 28 hectare property of which 20 hectares is planted with vines, 16 hectares of Sangiovese and four hectares of Merlot. The estate is on a hill at 250 meters. The soil is stone mixed with sand. Sangiovese from the Maremma, locally known as Morellino, has softer tannins and lower acidity levels than Sangiovese from other parts of Tuscany. There is s pre-fermentation cold maceration (cold soak), which consists of cooling the grapes at a temperature of 60°F in an anaerobic environment (under CO2) to protect the must from oxidation. After 48 hours, the temperature is raised and alcoholic fermentation begins, and lasts 12 to 13 days. After racking and malolactic fermentation, the wine is aged in small and medium oak barrels 222L to 15HL for six months. The wine has hints of red berries, cherries, a touch of tobacco and good acidity. Check out Charles’ complete post here.